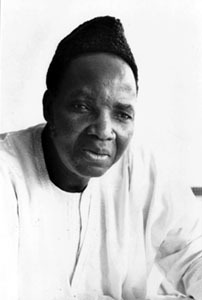 We got some very bad news from Burkina Faso in the month of December : Joseph Ki-Zerbo (photo below), an eminent African historian, political activist, promoter of independence movements, and reputable author, passed away. Upon hearing the news, Marie-Agathe Amoikon Fauquembergue of Eburnie publications (Ivory Coast) responded : “À baobab has left us !”. We would like to salute the man, author, and thinker Ki-Zerbo was. We remember the international co-publication of his last work, which he entrusted to Alliance members : “À quand l’Afrique ?” (“When’s the time for Africa ?”) has become a reference, the winner of the “World Citizen award” (prix RFI Citoyen du Monde), a commercial success, and is now translated into Portuguese by 4 members of our network. We would like to send our sincere condolences to his family and friends.